Bitcoin’s price took a dive of 25 percent last week, falling off from nearly US$12,000 to US$8,700. The fall has been attributed to last week’s hacking of Binance, one of the world’s largest cryptocurrency exchanges. 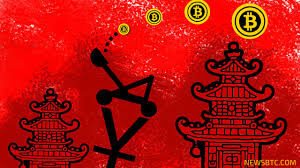 Also, China’s central bank governor Zhou Xiaochuan warned against cryptocurrencies during a news conference on the sidelines of the annual parliament session, saying: “Bitcoin and some other cross-over products have developed too fast. We should take a pause.” His remarks may have also spooked some speculators. Last Thursday, Binance discovered that some of its client accounts may have been compromised due to phishing. By controlling numerous Binance accounts, hackers reportedly sold all the holdings in those accounts and bought a little known cryptocurrency called Viacoin, pushing up its price over 100 times in minutes. The attackers had apparently bought a large amount of Viacoins before launching the attack, and later sold their Viacoin holdings during a rally they have helped create. Coincidentally, rumors about Binance’s bankruptcy started to circulate on social media platforms such as Sina Weibo, WeChat and Reddit several minutes before the attack, suggesting hackers may have shorted bitcoin futures in anticipation of the panic the hacking would bring. It’s estimated that Binance has lost around 10,000 bitcoins, equivalent to US$120 million based on the previous price. The exchange has yet to announce whether it would compensate users whose accounts were hacked. In late January, hackers broke into Tokyo-based cryptocurrency exchange Coincheck and made off with nearly US$500 million in digital tokens. The exchange said it would return 90 percent of the stolen funds to customers. Coincheck admitted that its server had been attacked. But in the case of Binance, customers are to blame for disclosing their passwords. In his remarks, Zhou said some applications of the blockchain technology had evolved too quickly. “If they spread too rapidly, there might be a big negative impact on consumers. It could also have some unpredictable effects on financial stability,” he told reporters. In fact, China has already taken a series of steps in recent months to clamp down on the cryptocurrency market, including shutting down exchanges and banning initial coin offerings (ICOs) or digital, token-based fundraising rounds. But on a positive note, the central bank chief said the development of digital currency is a natural technological trend, and the line between traditional currency and cryptocurrency will blur over time. He said authorities are adopting a “dynamic” approach in regulating cryptocurrency, indicating the regulatory approach could ease as the technology becomes more mature.